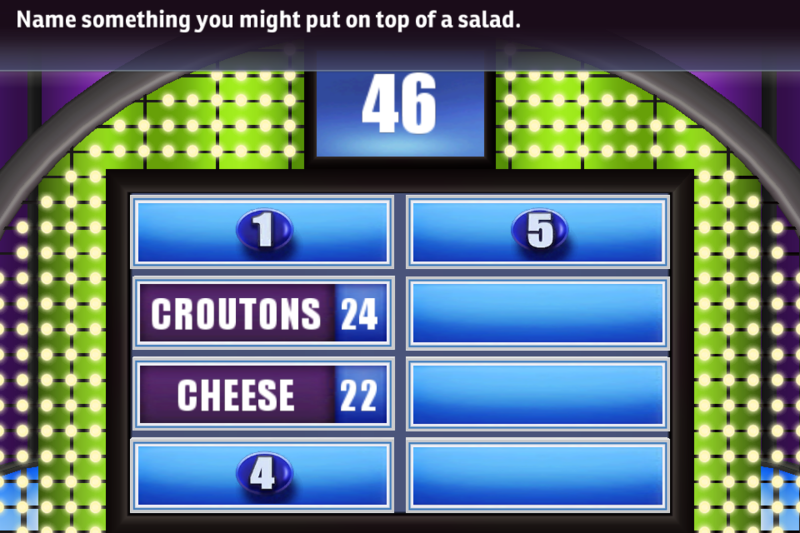 Our Survey Says game plays like television’s “Family Feud” there is no right or wrong answer. There are good answers and funny answers. Did it make the survey? Great team play- 3,4 5, or six players can play on one team. We utilize two wireless Buzzers with sure Cordless Microphones when we play Survey Says, the feud game. You can play from anywhere in the room. Audiences, Guests, Bar patrons can play along with the contestants when we play the Survey Says Game. We hook up external existing TV’s in the venue or provide large screen projection so all can see the game being played. We introduce the Survey Says Game Show by playing the Family Feud Theme song played on a Bose L1 2B sound system. Players of course are introduced and the game is on.